This post is the first in a multipart series exploring the basics of microservices. Check back each Monday for additional installments. 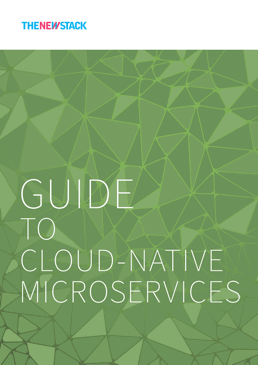 For those ready to learn the practical basics and application of microservices, The New Stack gets the low-down from some of this emerging sector’s thought leaders. Microservices are an architectural approach to software development based on building an application as a collection of small services. Each service has its own unique and well-defined role, runs in its own process, and communicates via HTTP APIs or messaging. Each microservice can be deployed, upgraded, scaled, and restarted independently of all the sibling services in the application. They are typically orchestrated by an automated system, making it possible to have frequent updates of live applications without affecting the end users. As a natural approach to optimizing work, we are already comfortable with the concept. Think about it: These days, your average cloud consumer — including adamantly non-technical people — easily and naturally uses multiple cloud products that are, essentially, micro-products and micro-apps. (They don’t call it “The App Store” for nothing). While an average enterprise organization uses, at minimum, a dozen different software products and integrations: one tool for logging business expenses, another for schedule tracking, another for payroll management. You get the idea. It just makes sense to embrace compact and specialized tools that get each job done properly. Microservices are exactly that, scaled to enterprise level. 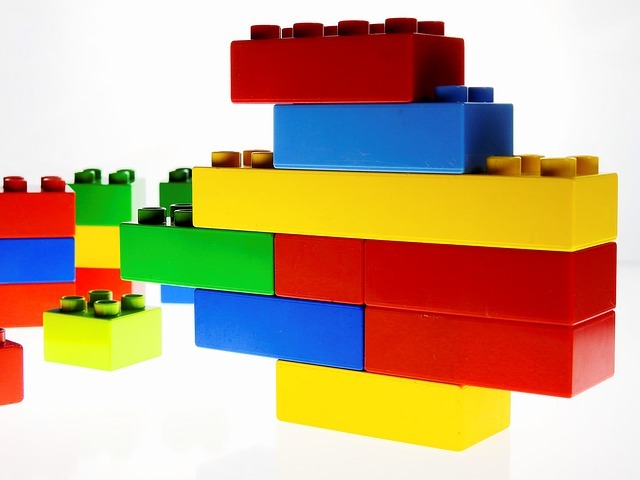 Think of microservices as Lego blocks snapping together to build a unified model. First, developers identify the separate service “pieces” necessary to build their project, such as search, authentication, messaging, sales processing, etc. Then they choose from the smorgasbord of options available, from open source to turn-key enterprise solutions, and knit everything together into a functional application. The terms “microservices” and “containers” are often used together. However, containers and microservices are not the same thing. A microservice may run inside a container, but it could also run as a fully provisioned virtual machine. That said, container-based — and open source — systems like Docker and Kubernetes are a very effective way to develop, deploy and manage microservices. Many mature and robust tools, platforms and other services already exist in the container space, rendering containerization a natural fit for microservice-based applications. “It’s very simple: microservices save developers from having to waste time reinventing already solved technical problems,” said Jamie Dobson, co-founder and CEO of Container Solutions. By enabling small autonomous teams to develop, deploy and scale their respective services independently, Dobson continued, microservices essentially “parallelize development” — thereby speeding up the production cycle exponentially. Additionally, Dobson noted, continuous integration and development are basically built into microservices architecture. “Microservices take a lot of infrastructure risk out of the project straight away. With the infrastructure made almost invisible, microservice teams can iterate quickly, often in hourly cycles, so that value is increased while ‘wrong feature’ risk is decreased in a continuous fashion,” he said. In other words, in microservices, each developer on a team gets to forget about underlying infrastructure and focus on their piece of the project. Then, in production, if individual project modules don’t work exactly right together, it’s easy enough to isolate, disassemble and reconfigure them until they do. Again, kind of like Legos. Microservices are the antithesis of the classic monolithic app, with obvious benefits. However, as with any developing technology, the early adoption curve can be steep. Currently, the approach is most effectively embraceable by super-sized companies like Netflix and PayPal, who have been able to shift to microservice architecture thanks to robust in-house resources and engineering teams. However, Biilmann continued, the pain is real for everyone else in between. Moving away from a monolithic app architecture means the loss of an opinionated workflow that glued all the pieces together. Fortunately, the same market leap forward is now happening with microservices. There is a virtual tech sector land rush on, with companies feverishly producing not just microservices themselves, but platforms, tools and frameworks necessary for joining them seamlessly together. At this early stage, however, it can be difficult to gauge both best fit and ultimate longevity for these emerging resources. Not to mention that microservices can also require increased testing complexity and possibly increased memory/computing resources. Thus, despite the abundant potential benefits, those knowledgeable in the field caution that microservices are not automatically the right solution for every project. In a true microservices approach, you are running only the exact small services you need — and nothing else. It’s a sleek setup, but these services are not aware of each other until you also step in to orchestrate them. Until recently, this implementation and orchestration piece have been beyond the engineering reach of many smaller to mid-size organizations. However, we are now approaching critical mass in terms of infrastructure and support around the technology. Meaning that microservices can now become just another tool in the developer’s toolkit. Next up: How to approach evaluating microservices as the right architecture for an application, and whether your organization is equipped to build applications this way — both technologically and culturally… And what you need to know to prepare for the transition.